The Minutes Event homeBuy ticketsCustomer reviews HamiltonThe PromNetworkTo Kill a MockingbirdKiss Me KateHadestownOklahoma! Coming to Broadway in 2018 - watch this space for ticket updates! 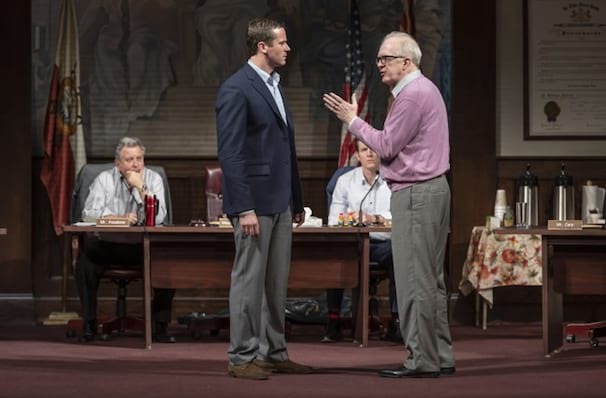 Fresh from its pre-New York run in Chicago, Tracy Letts's new political drama transfers to Broadway in early 2018. Behind hit movie Killer Joe, as well as having written Superior Donuts and the Tony and Pulitzer Prize-winning family drama August: Osage County for the stage, Letts' once again teams up with acclaimed director Anna D Shapiro for a witty examination into local politics at a town meeting, that quickly turns dark as personal prejudices come to the fore. The town meeting from hell! 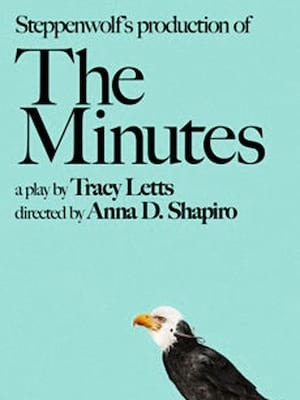 Letts is known for his searing black tragi-comedies, his most famous one being August: Osage County. Riveting auidences to their seats, it also won over the press and hailed by The New York Times as "hugely entertaining! A ripsnorter full of blistering, funny dialogue, acid-etched characters and scenes of no-holds-barred emotional combat." Directed by Anna D. Shapiro (The Pain and the Itch), she garnered praise by Variety, in which they called it "a deep and highly entertaining work, consistently rich, raw and intense, filled with viciousness and vicious wit." For information and tickets to the Chicago 2017 production, please click here . Seen The Minutes? Loved it? Hated it? Sound good to you? Share this page on social media and let your friends know about The Minutes at Venue To Be Announced. Please note: The term Venue To Be Announced and/or The Minutes as well as all associated graphics, logos, and/or other trademarks, tradenames or copyrights are the property of the Venue To Be Announced and/or The Minutes and are used herein for factual descriptive purposes only. We are in no way associated with or authorized by the Venue To Be Announced and/or The Minutes and neither that entity nor any of its affiliates have licensed or endorsed us to sell tickets, goods and or services in conjunction with their events.